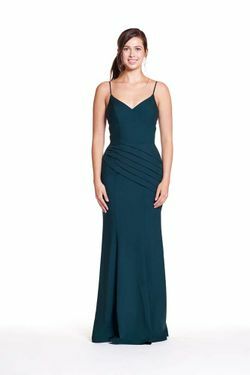 Bary Jay bridesmaid dress style 1848 - Bella Chiffon - Sweetheart neckline with bow. Empire waist with gathered A-line skirt. Shown in Deco Blush.